africa | ¡Ay, yay, yay, Capitana! The flyers for different types of exotically-named Yoga classes (is this actual Sanskrit or something made-up? ), categories of coffees labeled by country of origin… Peru, Columbia, Kenya. Treats such as baklava and alfajor (Lebanese and Latin American). The music is John Coltrane and Miles Davis. 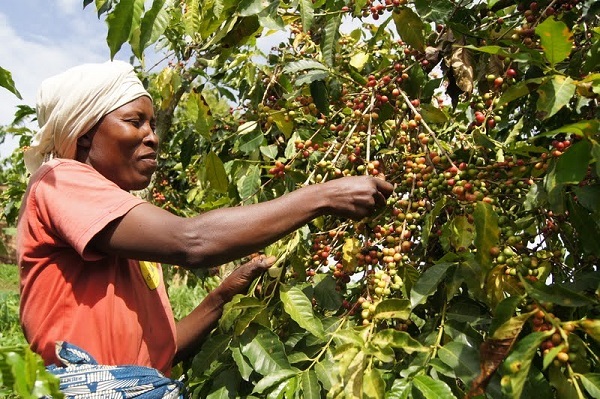 The coffee is sweetened with sugar harvested in equatorial regions. And we are all wearing clothes probably made abroad in unsafe conditions. Couple all this with the army of teenage, light-haired, very young white women who are employed at cafe after cafe. If this is not deliberate it is still suspicious. One woman turns to her daughter and shows her healthy dog treats, for the dogs who come in and visit. Meanwhile, homeless people outside freeze and starve. Taking this in, it is clear how every element of this trendy establishment, by definition, has been appropriated from non-white people in the world… The Africans and Latin Americans grew the coffee beans, chocolate beans, and sugar cane we consume. The treats have all been Americanized and branded for consumption without context, whitewashing the cultural significance of things like baklava. The jazz music was invented by generations of cultural resistance of people of color whose culture was systematically bludgeoned out of them. The people who leave the coffee plantations in Central America are demonized as “illegal aliens,” while those people of color who record our beloved jazz music are seen as disposable humans by a society that regards their lives as less important than white life. Yoga, of course, is now a brand – whereas it is a sacred practice that guides elemental lifestyles in its homeland. Yoga’s poster girl is the white college girl in the ubiquitous “yoga pant,” finding harmony in a practice none in her class are bound to give proper cultural contextual consideration – even her instructor. Something particularly questionable is when these kinds of places have expensive portraits of indigenous people from around the world, such as toothless old people smiling in Indonesia, or barefoot children harvesting wheat (or the image of a woman in Kenya harvesting coffee beans). It comes off as terribly insensitive, and downright offensive. With no context, it’s rendering the deep sacrifice (for our luxury) of those in the Global South meaningless, or worse – trivial and quaint. “Why look at the happy brown people with their good, honest living and traditional way of life. How I envy them in that simplicity,” some people will undoubtedly wonder. Everyone here chats away, spending $17 on coffee and pie per person, and the beat goes on. Mother Jones encapsulates this absurd paradox with their indictment of “hipsters” who drink almond milk, as its production contributes to the worst drought in California in years (http://www.motherjones.com/tom-philpott/2014/07/lay-off-almond-milk-ignorant-hipsters). I will recognize the efforts of conscious consumerism. Fair trade and sustainable-sourced products are increasingly popular. But such popularity eventually becomes trendy, and is then rendered mindless once again. How to protect such legitimate efforts to even the playing field for those in developing marketplaces when this pattern is so persistent? Finally, let me disclose that I type this while patronizing one such place, sucking away at some combination of difficult-to-pronounce fruit and green tea. Reflecting on the above, it’s safe to say I will not be spending my money or time in these places anymore. I will find new places that allow me to work on my online courses without contributing so heavily to problematic paradigms. Meanwhile, these establishments are often opened in gentrifying areas, where traditional communities are suffering economic and cultural displacement in that very location. How ironic that fair-trade coffee and Shakti yoga are marketed as “conscious consumer choices,” but in this environment, these are anything but conscious. They are mindless choices made by a product-hungry society, the primary element in the maintenance of the status quo in a market-driven, social system that is designed to oppress.